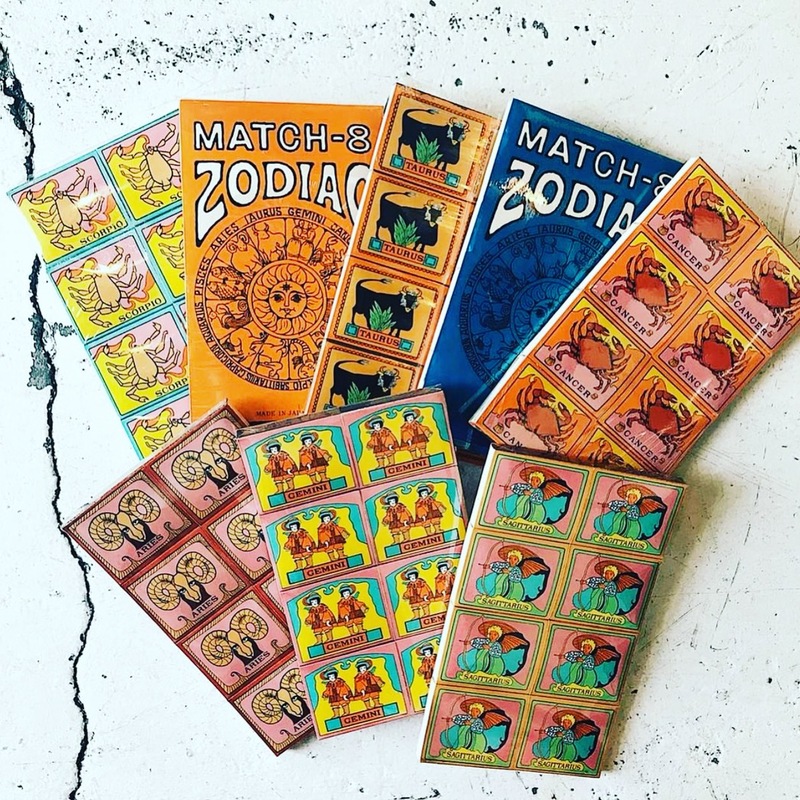 A found collection of vintage horoscope matches! $12 each. 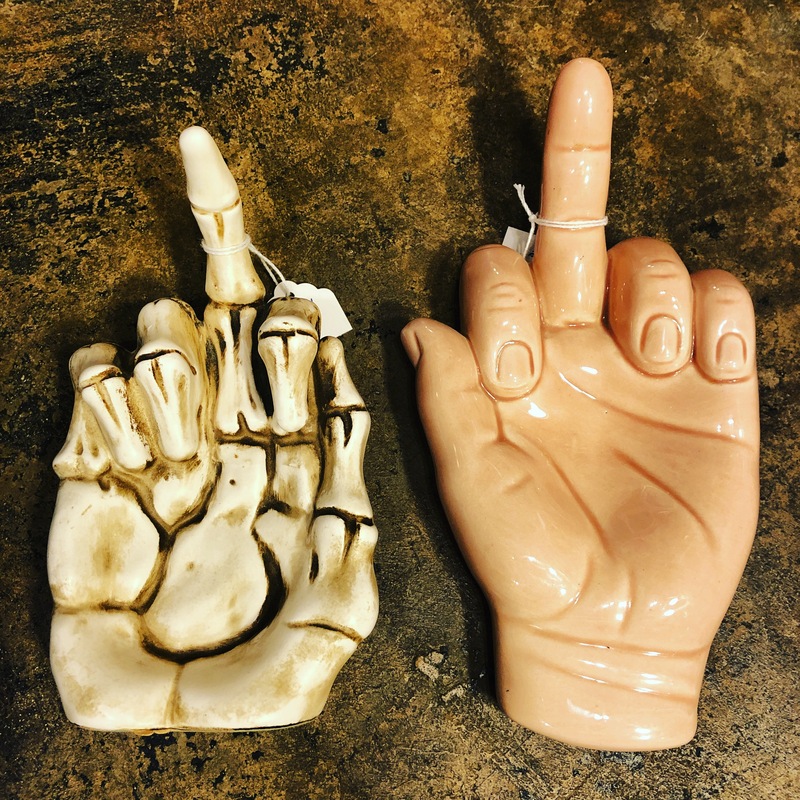 Two middle finger ashtrays. One metal one not. Prices vary. 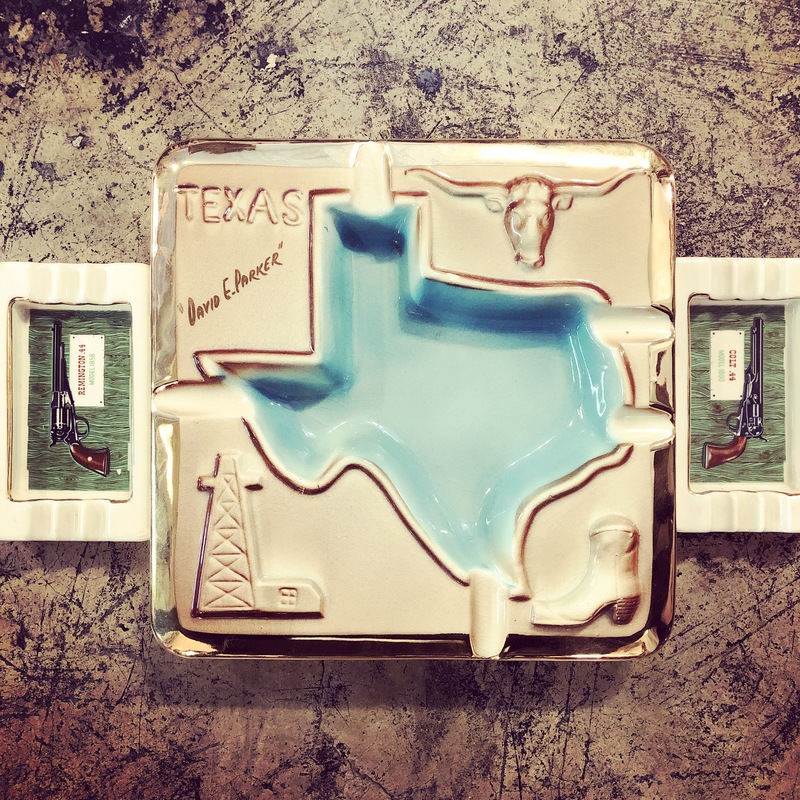 Three really cool vintage ashtrays for decorative purposes. $12-36. 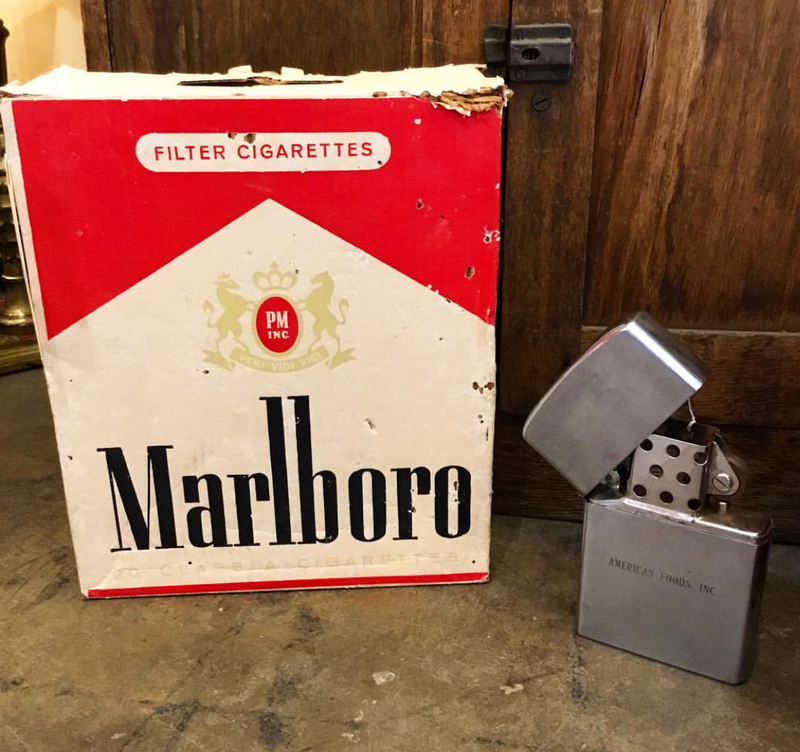 A giant pack of cigarettes and a huge lighter to light them with. 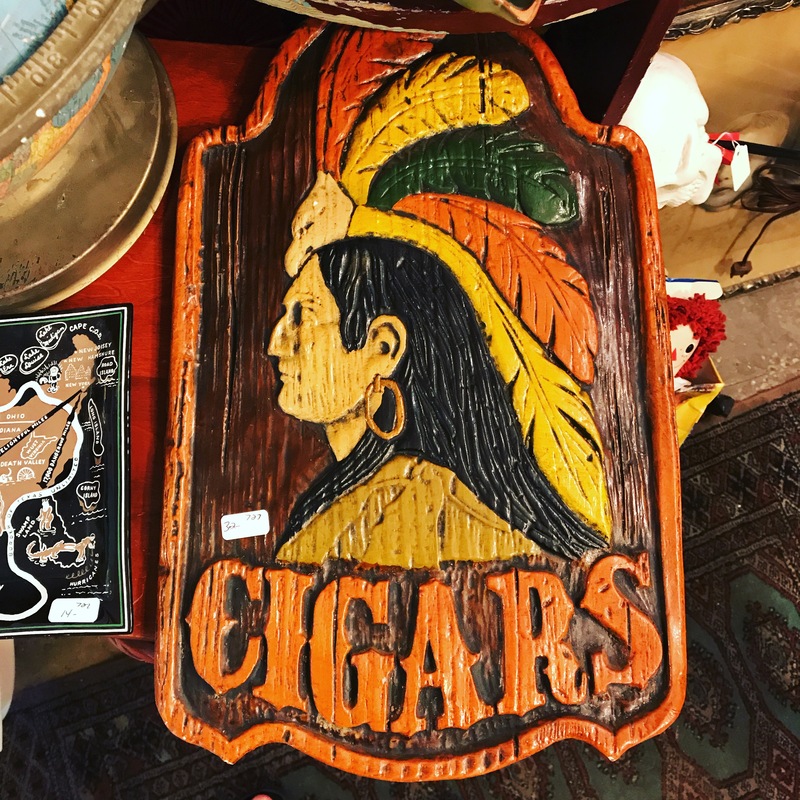 Fabulous cigar sign from the 1960′s/70′s. 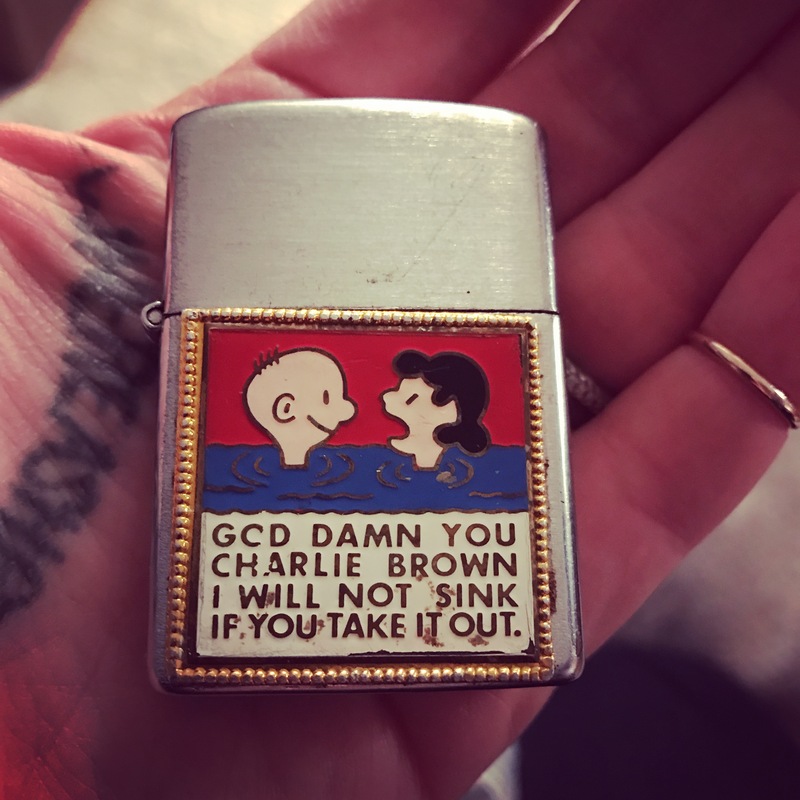 Novelty lighter from the late 1960′s. $38. Stick That in your Pipe. 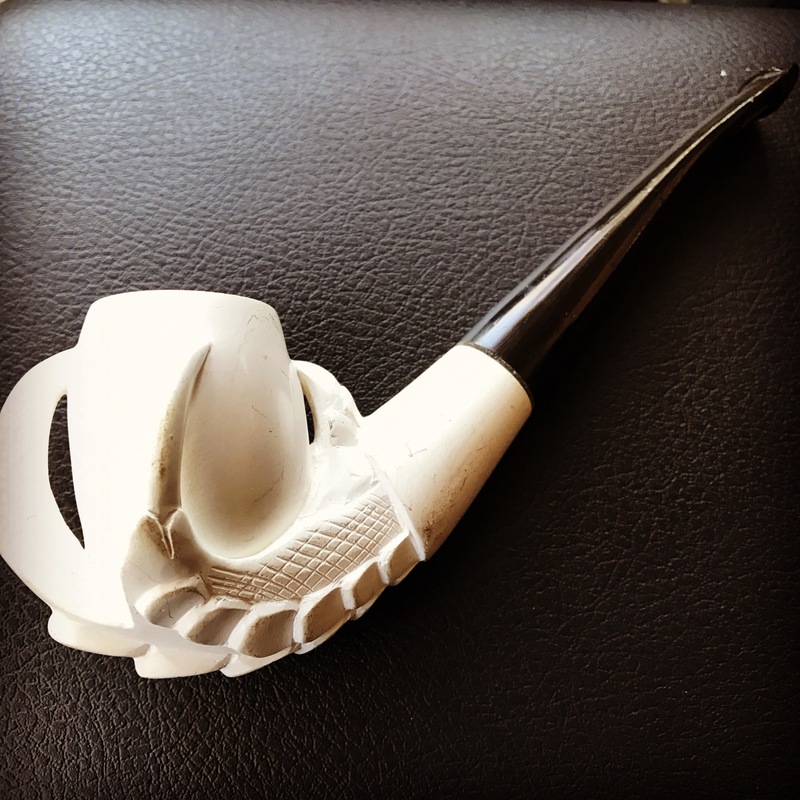 What a seriously cool meerschaum pipe!! 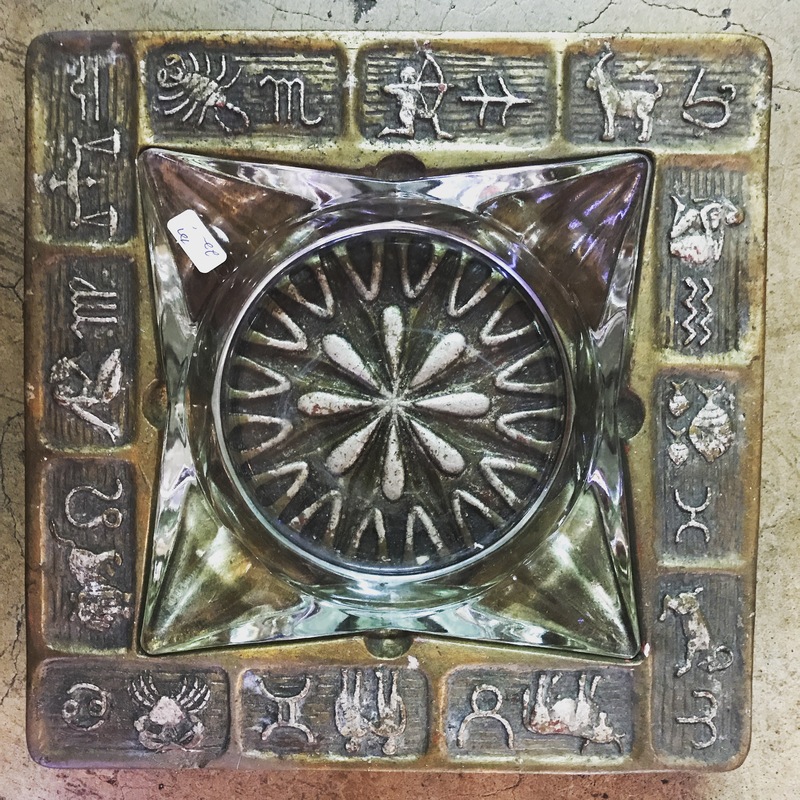 $125. 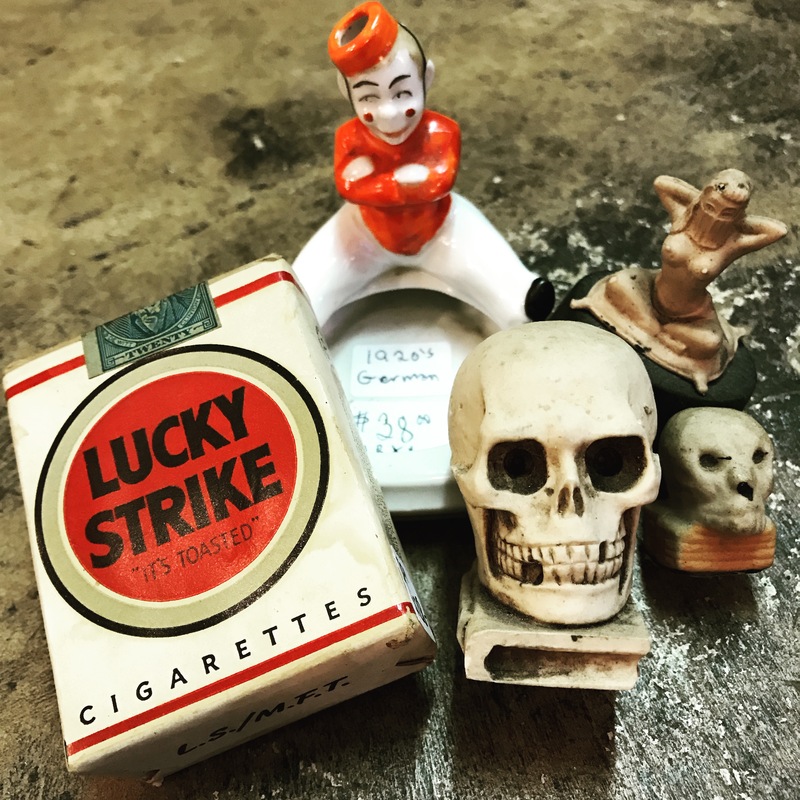 Just a handful of the odds and ends new to the shop this week!! 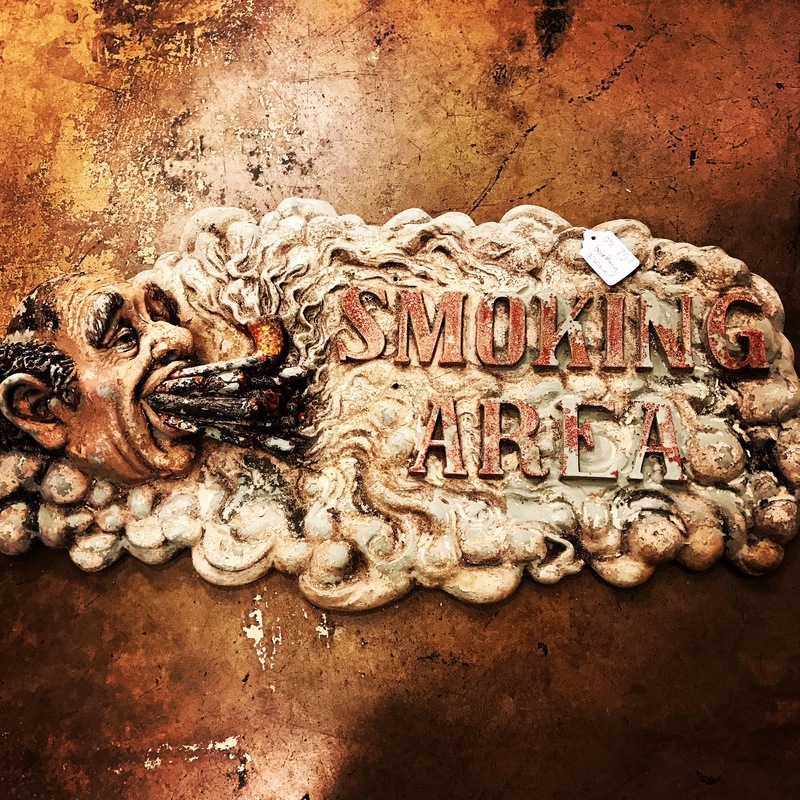 Designate your very own smoking section with this fabulous vintage sign. $75.